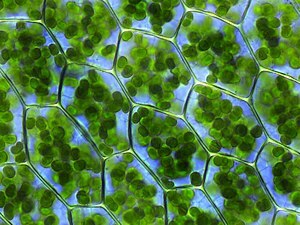 Plant cells wi veesible chloroplasts. The plastid (Greek: πλαστός; plastós: formed, mauldit – plural plastids) is a major dooble-membrane organelle foond, amang ithers, in the cells o plants an algae. ↑ Sato, N. (2006). "Origin and Evolution of Plastids: Genomic View on the Unification and Diversity of Plastids". In R.R. Wise; J.K. Hoober. The Structure and Function of Plastids. 23. Springer Netherlands. pp. 75–102. doi:10.1007/978-1-4020-4061-0_4. ISBN 978-1-4020-4060-3. This page wis last eeditit on 16 Mairch 2017, at 16:39.